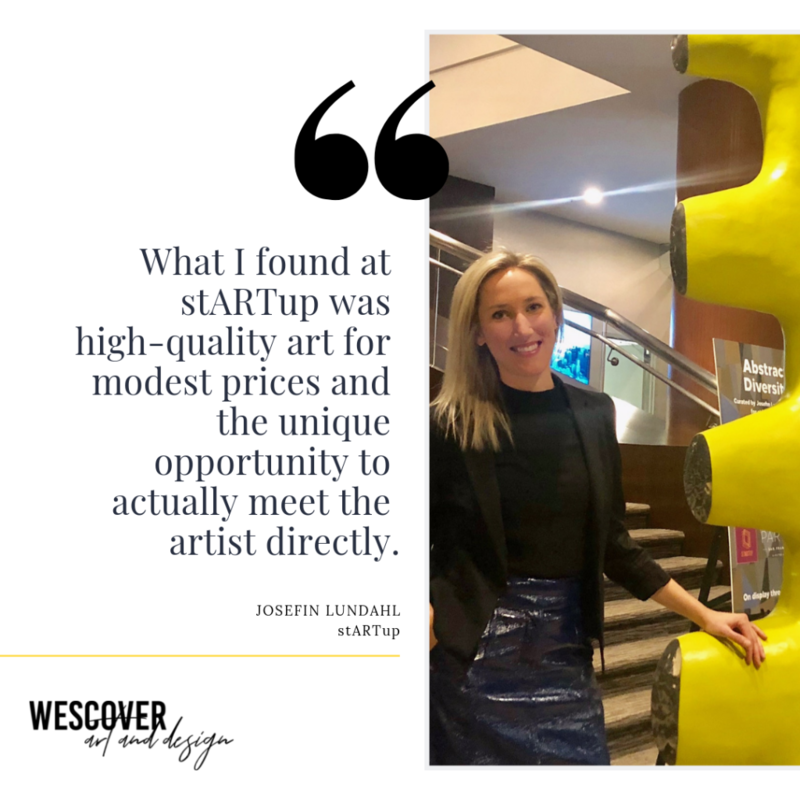 Connecting artists and buyers is something we obviously love here at Wescover so when we heard of stARTup we had to know more! 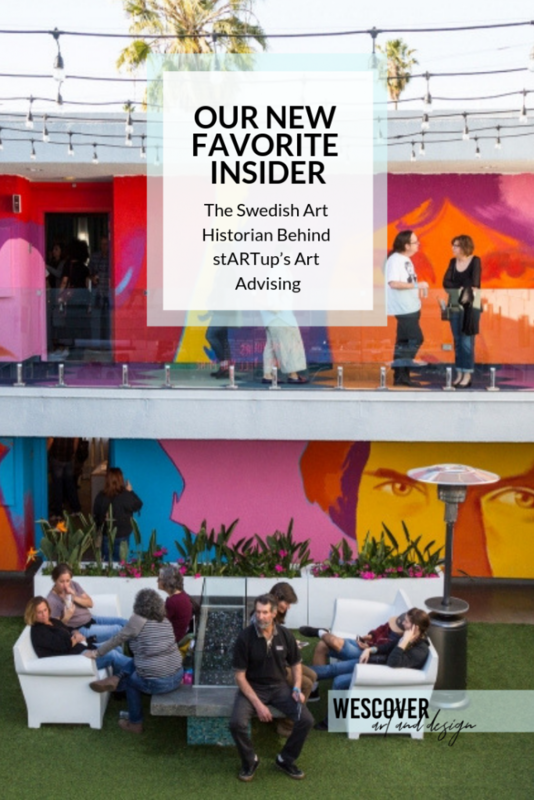 Meet stARTup: a contemporary art company connecting independent artists to a community of loving collectors. 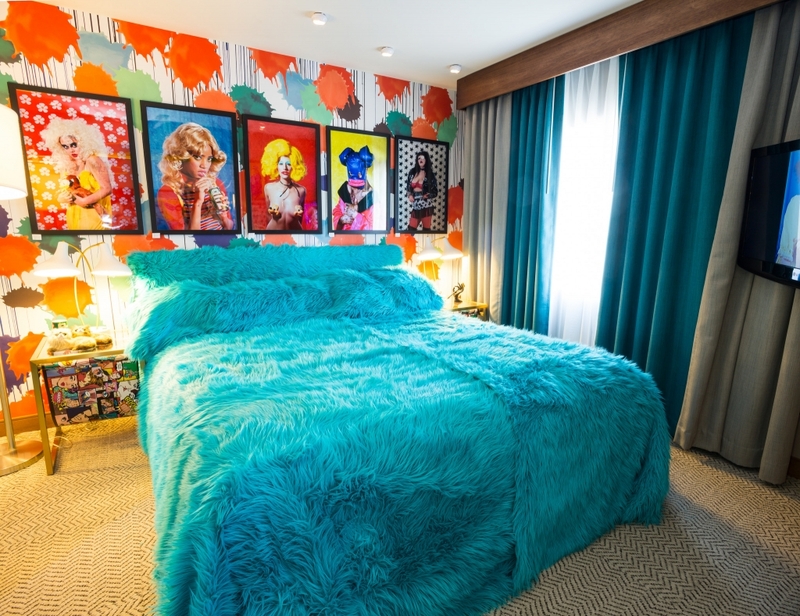 Held in boutique hotels, their art fair experiences take you out of a stark gallery and into beautiful design settings. Here guests gather among 60+ independent artists for a unique experience (a mix of performances, showings, and conversations) that supports the best and brightest local talent. 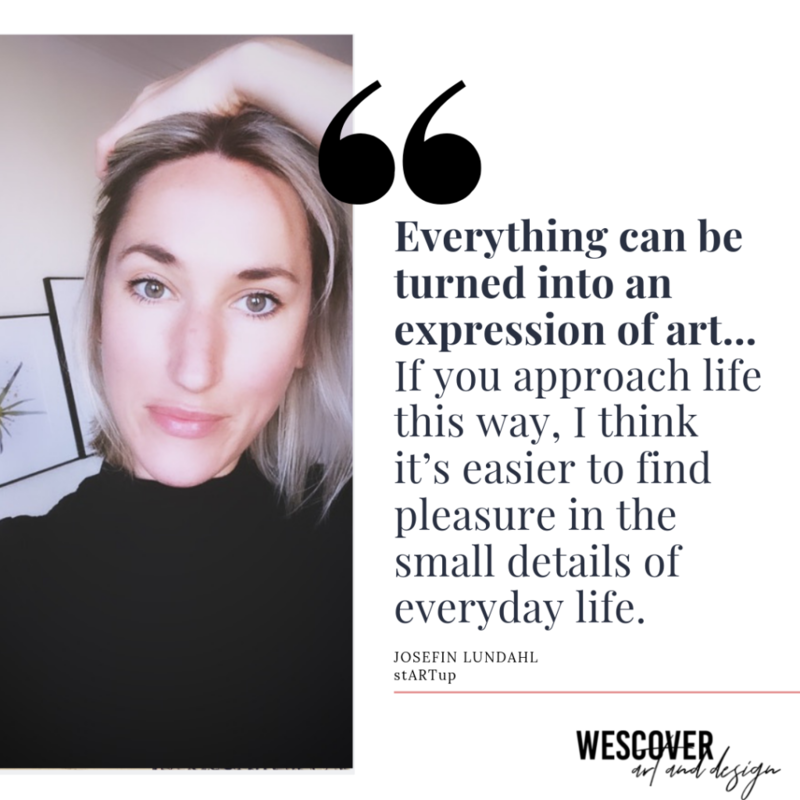 We connected with stARTup’s Art Advisor and Curator Josefin Lundahl to learn more about her creative community and the future of the art industry— and this Swedish art historian is our new favorite thought leader! 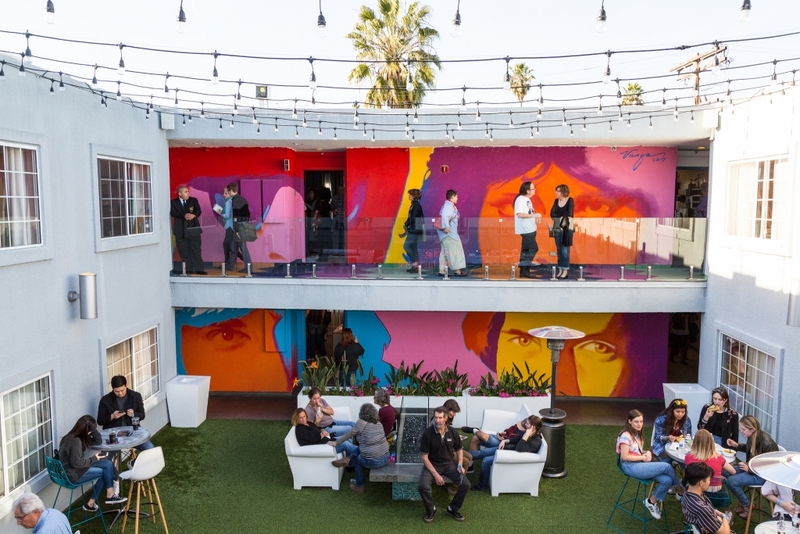 Robert Vargas created this amazing interior courtyard mural of the doors at The Kinney Venice Beach. 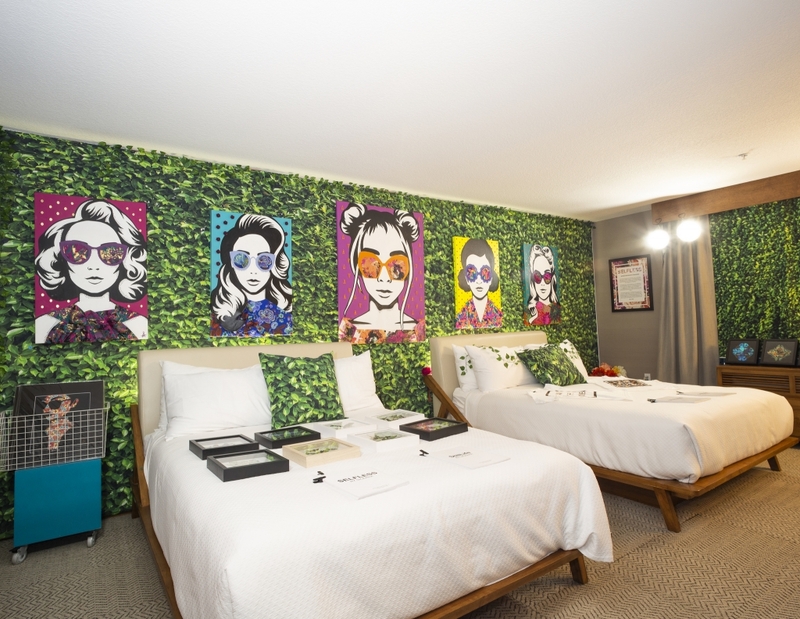 The mural sets the mood for hotel guests daily and last year’s stARTup Art Fair LA. Who is in your creative community? I have Creators all around me at all times! I’m originally from Gothenburg, Sweden, and I lived in Berlin for many years before moving to the states. One amazing thing about living in Berlin is that I was constantly surrounded by creative and like-minded people. But we were all doing different things. Photographers, painters, fashion designers, musicians, dancers and so on– we all shared the space and were inspired by one another. I grew up with a father who is an art dealer; my grandmother and uncle who were painters; my cousin was a dancer; and I myself went to music school from the age of 5. I found that we are all artists because creativity comes in so many pure forms. Creativity is an essential part of all kinds of professions such as technology, engineering, architecture, mathematics – honestly wherever you want it to be. In my mind, everything can be turned into an expression of art: how you dress in the morning, how you cook your food, how you keep your house in order (Marie Kondo & I were twins in a past life for sure), and how you talk and act in solidarity to the people around you. If you approach life this way, I think it’s easier to find pleasure in the small details of everyday life. 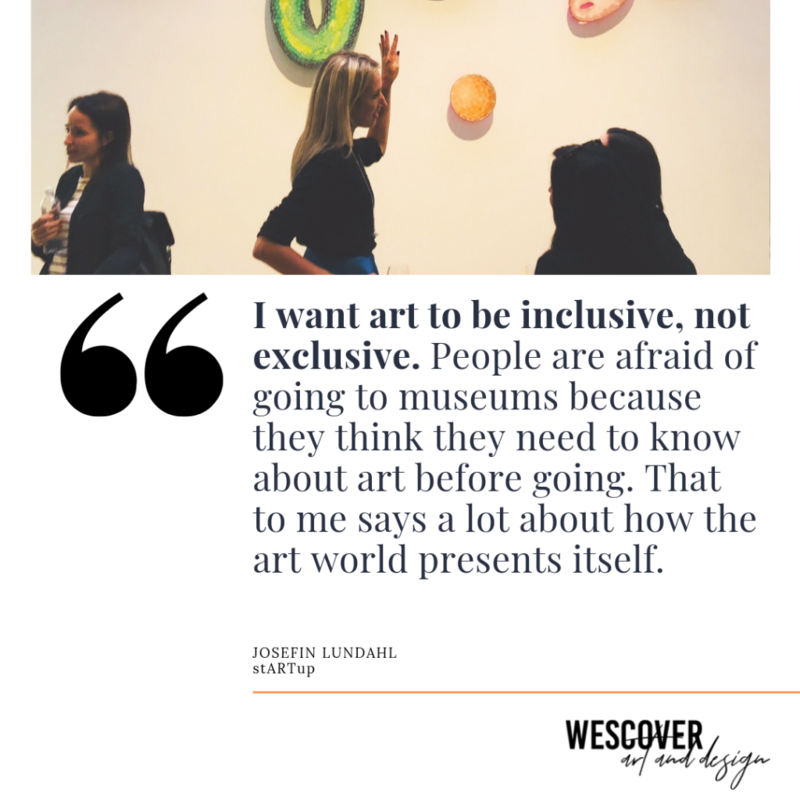 I want art to be inclusive, not exclusive. People are afraid of going to museums because they think they need to know about art before going. That to me says a lot about how the art world presents itself. We are all able to create and be creative. It’s like a muscle, you just gotta start using it. What are your hopes for artists in 2019 and beyond? The art market is constantly changing and change is good. Change is an opportunity for a power shift— to change the ruling components in general. With galleries being forced to close down and online sales platforms exploding, I think that this is a great moment for artists to reflect on how they want to take charge of their own business. Representation is great and in most cases absolutely necessary. But perhaps it doesn’t have to be done in the exact way that is has been? New types of consignments and short term contracts and so on with established places are great. Then spend the rest of your time promoting yourself! 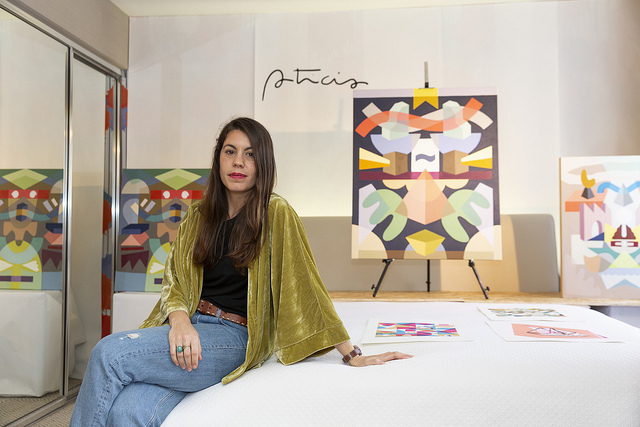 While many artists start off and make an incredible living just through social media (keeping all commissions to themselves) a great dealer, professional gallerist, or experienced advisor can be the best thing that ever happens to you. Do your own research, feel out what feels best for you and, if you’re a go-getter, perhaps you can make it on your own. And if not, we’re always here to help! 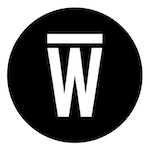 Wescover is a perfect example where you get a little bit of both: exposure produced by professionals but you as a Creator get to own your own success. 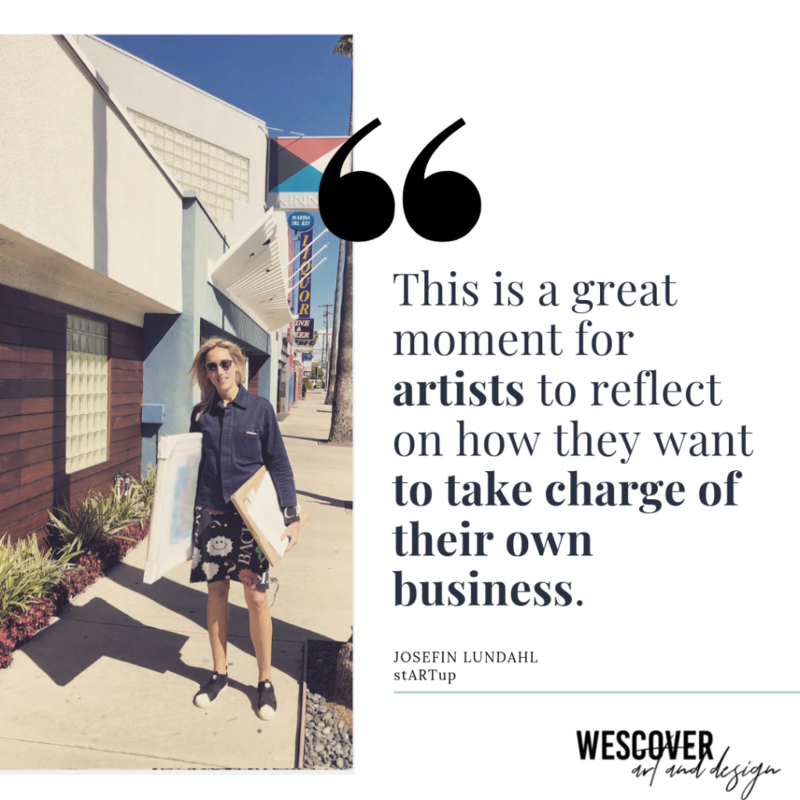 That’s why I’m super excited about stARTup being part of the Wescover platform and sharing ideas about all of our incredible artists out there! How did you get involved with stARTup? 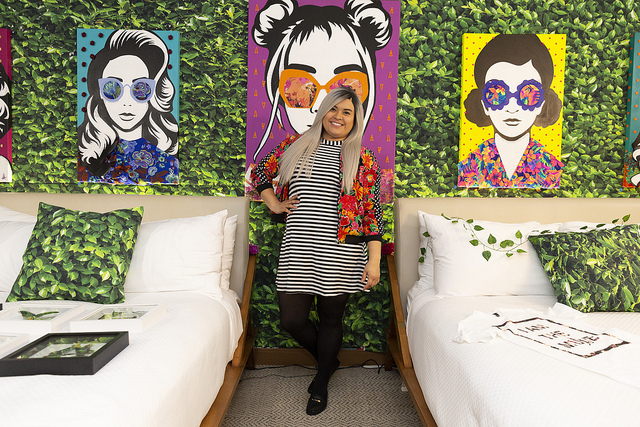 I fell in love with the concept after visiting the stARTup Art Fair in San Francisco at Hotel Del Sol. 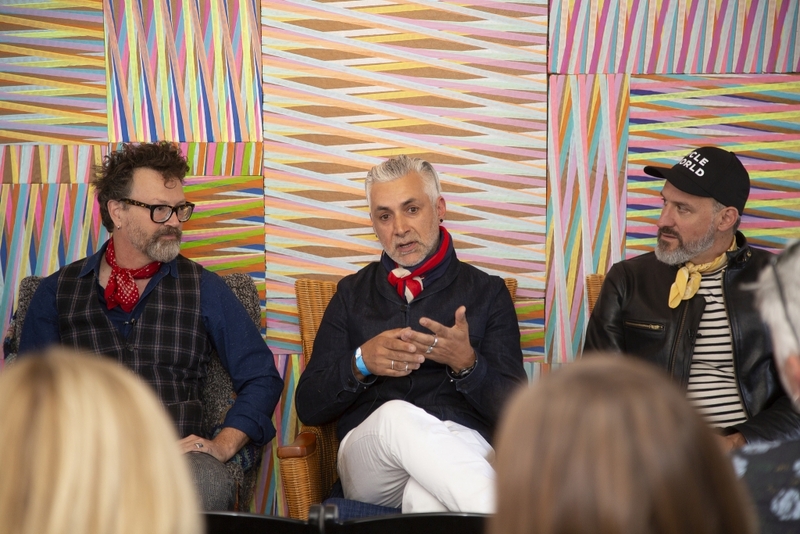 Having worked with art in some capacity for the last 10 years, many of which in galleries, I’ve attended and participated in art fairs around the world. Fairs provide an incredible opportunity, for everyone involved. 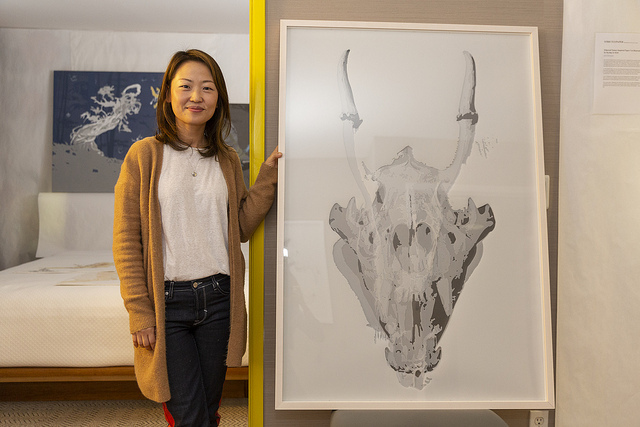 The galleries get to promote their top artists, the artists get their work exposed, and visitors of all kinds are able to connect during one event. On the flip side, it is extremely expensive for the galleries to participate. As an artist, there’s little you can do to make sure that your gallery will, in fact, choose your work. And, as an excited visitor dreaming about collecting art, you often find yourself feeling excluded because of the high prices. What I found at stARTup was high-quality art for modest prices and the unique opportunity to actually meet the artist directly, hear their stories, and learn about their process. No middle hands. I loved it. I felt included. I could afford to acquire new artworks and skipped the part of being chased down by a desperate gallerist (I’ve also been that one!) who is trying to make you buy more art. After that first inspiring experience, my husband and a good friend who knew more about the fair could tell that this whole experience was very special to me. They encouraged me to get in touch with the stARTup team. It so happened that they were looking for a Curator & Art Advisor – which is part of my expertise – so I tagged along and now they’re family. Any advice for artists who’d like to get involved with stARTup? The best way to get involved with stARTup is to participate in a fair, no doubt. You do not have to visit a fair before applying but being a visitor can give you a great feeling for the fair and understanding of what to expect when you’re a part of it. 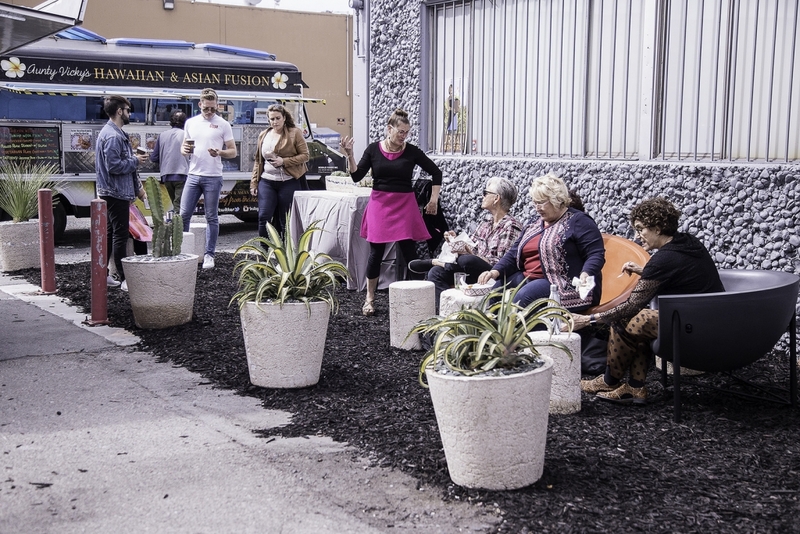 After our artists have participated in a fair, you’re part of our community. My job is to create opportunities for you as an artist in between the fairs. I curate exhibitions, bring clients to studio visits, feature your work in our online shop and much more. So the work on our side is year round, not just tied to the 4 annual fairs (which used to be 2!). We were so pleased to connect with Josefin and get a glimpse into the stARTup events! If you’re a professional artist interested in getting involved apply to be an artist at their next event.